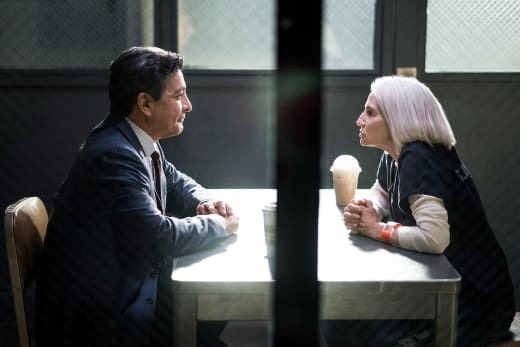 At the end of Animal Kingdom Season 2, Baz and Lucy were on their way to Mexico and freedom from Smurf and the family business, but Baz was ambushed and left for dead. There's no doubt that Lucy was responsible for Baz's shooting. She left him bleeding in the street and immediately went to his house and took all the money he hid in the walls. Finding who shot Baz will become one of the Codys' top priorities. Pope won't settle until he kills whoever shot his brother. What a surprise it will be when he finds out Lucy was behind it. Will she go the way of Catherine? Smurf is still in jail, and J is still in control of the family business. Baz was the one who was most against the idea of J as head of the family, but Pope, Deran, and Craig seemed more at ease with the situation. Those three may be okay with it only because they know Smurf is working behind the scenes, but how long will that last? J is a smart kid, and he's only going to listen to Smurf for so long. When he goes off on his own and makes his own decisions, there will be hell to pay. And there's always the question of whether or not the other guys will go along with J. How will Nicky fit into it all? She's been nothing but trouble for J, and it wouldn't surprise me if her stupidity ends up costing her her life. If that's the case, good riddance! 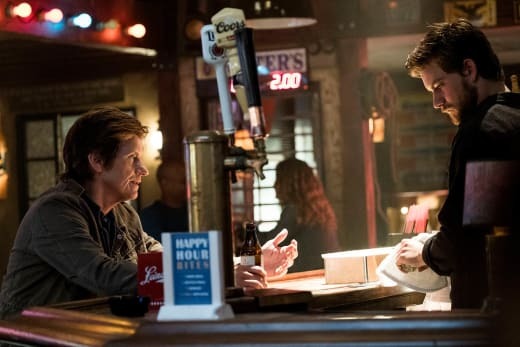 Deran is still trying to go straight with his new bar, but the introduction of his father Billy (played by Denis Leary) may add another complication to that dream. Deran is in a mob situation. Try to get out, and they pull you back in. Or kill you. I'll bet Billy will try to convince the others that J is too young to run the family business even if Smurf is in control while in jail. There has to be a reason why Billy has decided to pop back in Deran's life, and it's not because he's aching to bond with his son. Every character has an ulterior motive on Animal Kingdom, Billy's motive will be revealed soon enough. Then there's the problem of money. Baz cleaned Smurf out, so he Cody's lifestyle is going to be impacted hard. They're going to have to do another job, and based on the preview below, it looks like they've decided to take their business to new heights by robbing a plane. That's some risky business there, but when you're desperate, you'll do anything to survive. Check out the preview for Animal Kingdom Season 3 below. Animal Kingdom Season 3 Episode 1 airs on Tuesday, May 29 at 9/8c on TNT! 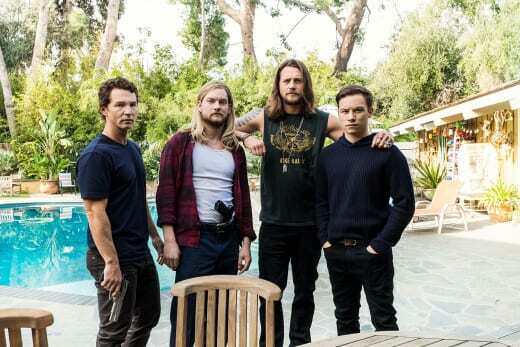 You can catch up on this fun summer drama when you watch Animal Kingdom online right here via TV Fanatic. Get more insight by reading our Animal Kingdom Season 2 reviews right here! What are you most looking forward to on the new season of Animal Kingdom? Will Baz survive? Will Lucy be caught? Hit the comments and share your thoughts! Be sure to check back here for our reviews of each new episode. It's going to be a blast!